T-Mobile's Uncarrier 11 event just happened, and there were no surprises. Well, there were technically surprises, but not for anyone who pays attention to carrier rumors. 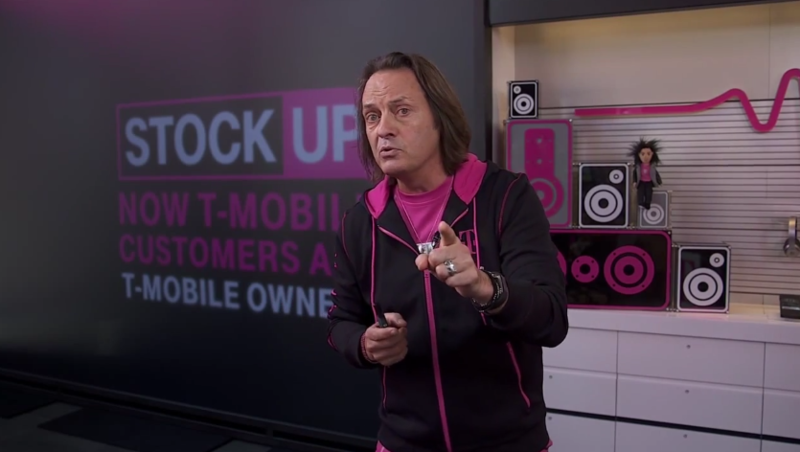 The details we had previously are an exact match for what T-Mobile CEO John Legere announced. The company is handing out free stock to customers, plus you will continue getting free stuff via the new Tmo app every week. 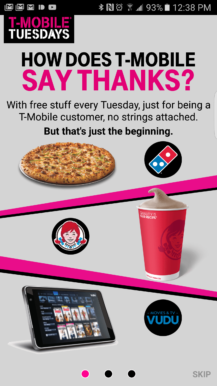 The stock giveaway is clearly T-Mobile's main PR thrust this time around. Each primary account holder will get one full share of T-Mobile stock (TMUS), but you have to sign up for LOYAL3 stock manager to claim it. New customers will get a share too when they sign up. This is free, and you can do anything you want with the stock; sell it, sit on it; use it to taunt Sprint customers. Whatever. It's worth about $40 right now, so it's not exactly a big payday. What might be a big payday is if you win one of T-Mobile's big grand prizes in the T-Mobile Tuesdays app (this is for pre or postpaid). 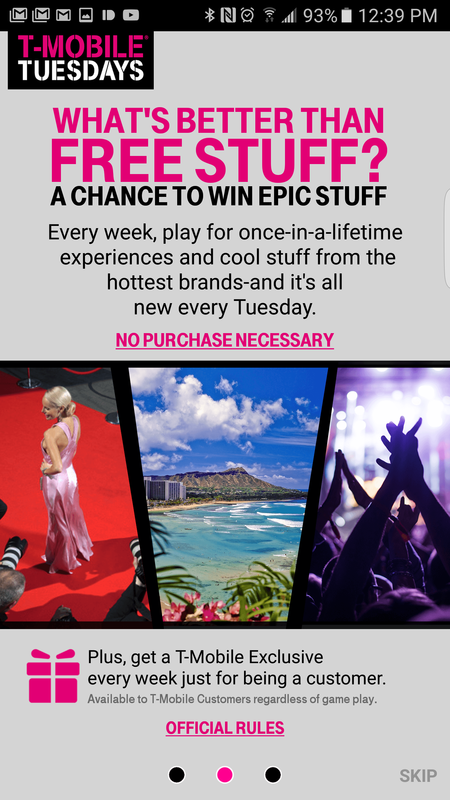 That's how you'll claim your weekly freebies, but it's also where you can enter to win a trip to Vegas, $10,000 in free swag from Gilt in New York, and more. You probably won't win those things, but everyone gets a free medium two-topping Domino’s pizza, small Wendy’s Frosty, and a movie rental from VUDU ($5.50 value). You actually get this every week, which is rad. They're also giving away movie tickets to see Warcraft right now. 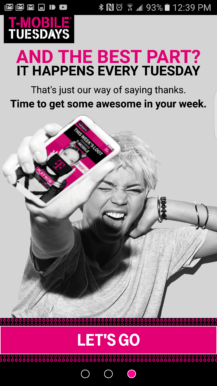 To round out the freebies, T-Mobile customers also get a free hour of GoGo in-flight WiFi (it's not clear if this is on each flight you take). Plus, iMessage, Google Hangouts, WhatsApp, Viber, and SMS will continue working for the entire flight free on your T-Mobile phone. It's all available right below in the T-Mobile Tuesdays app. No other carriers need apply.